Yamaha’s Yuki Ito bounced back from a so so weekend to bag a double win in the SuperSports 600cc category, taking the title battle to a cliffhanger as Round 5 of the PETRONAS Asia Road Racing Championship wrapped up at the Chang International Circuit in Buriram, Thailand on Sunday. 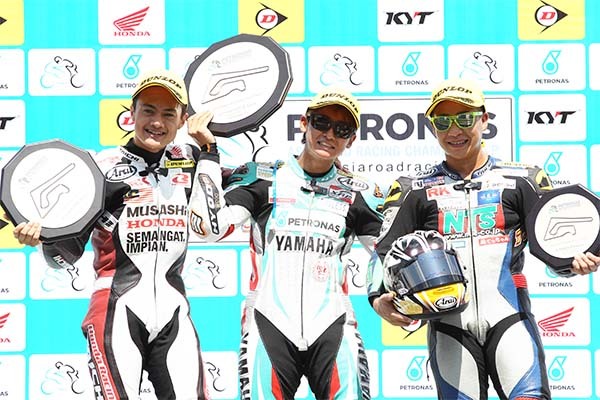 Despite starting the race from second row, the PETRONAS Hong Leong Yamaha rider got off to a perfect start in Race 1 to steal the holeshot and steadily pull away – placing a considerable gap between himself and the chasing pack, completing the race in 26’52.991s. Zaqhwan Zaidi secured second with 26’55.643s after a lengthy battle with Tomoyoshi Koyama who settled for third with 26’55.912s. Yuki applied the same strategy in Race 2 and tried to pull away early but this time Zaqhwan stopped him. The duo, together with Koyama was seen going neck to neck throughout the 16-lap race but Yuki came out on top when he fearlessly covered his line heading into the last turn, crossing the finish line first in 26’48.999s. Koyama came in second followed by Zaqhwan third with 2649.171s and 26’49.255s respectively. Hauling 50 points from this leg, Yuki moves up from fourth to second in the standings with 140 points, seven points adrift Katsuaki Fujiwara who finished eighth in Race 1 and ninth in Race 2. Zaqhwan’s double podium finish saw him climb up to third with 125 points. “It feels incredible to win both the races here,” said Yuki. Meanwhile Amirul Ariff Musa and Kazuki Masaki each took a victory in the Underbone 130cc. Amirul won Race 1 in 17’27.650s ahead of teammate, Taiga Hada with 17’27.869s while Ferlando Herdian (Faito Factory Racing) rounded up the podium with 17’28.024s. 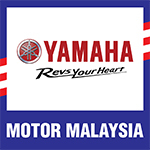 Kazuki on the other hand won Race 2 after initial winner, Mohd Affendi Rosli (PETRONAS Hong Leong Yamaha) was demoted to fourth by race direction. The Japanese rider concluded the 8-lap race in 17’28.471s followed by Gupita Kresna and Taiga with 17’28.513s and 17’28.751s respectively. Despite getting on the podium just once from the two races held today, Gupita remains in control of the Underbone 130cc standings with 148 points. Norizman Ismail is ranked second with 118 points while Taiga sits in third with 113 points.